Like a booger come to life! Whispering, disembodied heads floating in the darkness...enormous blinking eyeballs...no, it's not a nightmare, just a Tony Oursler installation. This American artist is famous for his video sculptures, where he projects moving images onto whatever dream-like objects he can think up. Pieces of translucent plastic make the talking heads appear ghostly and see-through. Curved surfaces warp the facial features. And metallic materials lend an eery, sparkling quality to the large creatures. So he scoured electronics magazines the way a painter would scour the shelves at an art supply store, and finally stumbled across a miniature projector- a game changer. It came in the mail and he realized he could project a little face onto the head of a Barbie doll. Literally, a “lightbulb moment." Years later, his animated faces light up huge sculptures instead of dolls...but are just as creepy. Next, Tony dove headfirst into the fourth dimension, with the help of a family of spiritualists called the Foxes. Their claim to fame was communicating with the dead through Morse code. Back in the day, spiritualists tried to listen to the afterlife by using radios and microphones, and the concept of using machines to contact other realms of existence fascinated Tony. You might wonder how Tony made his visions of floating heads visible in a time before video editing was easy and accessible. The madman used a vertical board with a hole in it, nailed to a desk. Like a medieval torture device, he put his subject’s neck through the hole, as to prevent the body from being recorded. One of his favorite people to tape, a Ms. DeJong, requested neck massages every time she got a break. From there, Tony’s video work continued to grow, warp, and explore both the dark and humorous sides of human existence. The heads whisper strange scripts that Tony writes himself and have entranced art viewers for decades. If you’re lucky, you’ll get a chance to witness his fusion of art, technology, and human feeling in person. Born in Manhattan in 1957, Oursler was brought up in Nyack, New York. At CalArts, his fellow students included Mike Kelley, Sue Williams, Stephen Prina and Jim Shaw. John Baldessari — with whom he did an independent study — and Laurie Anderson were teachers. Oursler moved back to New York in 1981 and was picked up by Electronic Arts Intermix. In 1999, Oursler moved to a studio near New York City Hall. 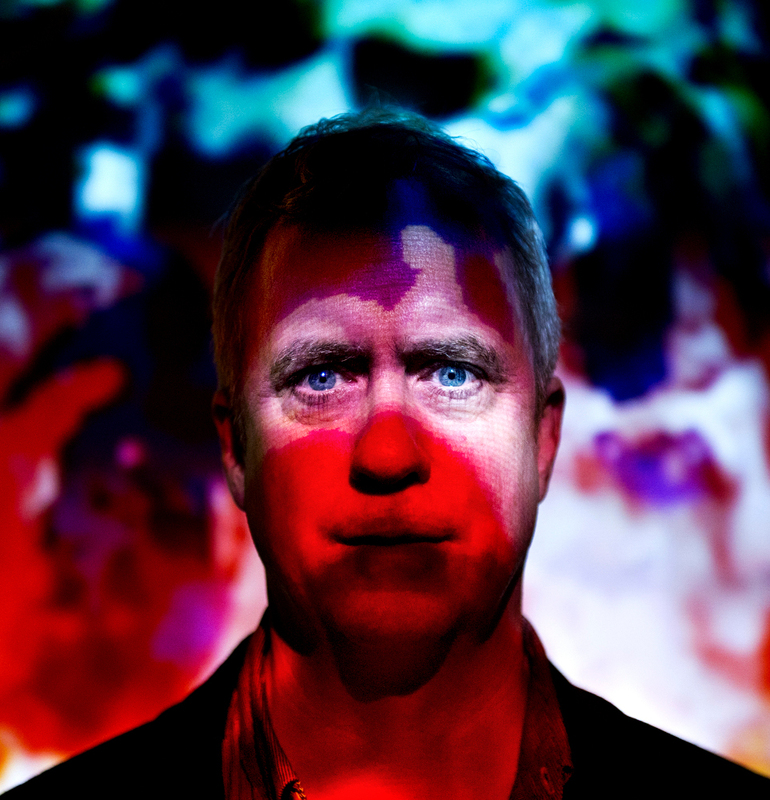 Check out the full Wikipedia article about Tony Oursler.